WIP (WebintPro) partners with governments and corporations worldwide to deliver critical and timely web intelligence. Our HIWIRE platform delivers real-time searches on mobile and web applications across the globe. Accelerate Intelligence. DCD Protected Mobility manufactures the Springbuck APC and Husky VMMD vehicles for Route Clearance Convoys. The vehicles play a significant role in these missions, leading and protecting military and civilian convoys along routes with landmine and IED threats. IAI - Israel Aerospace Industries is the largest aerospace & defense company in Israel, 100% owned by Israel’s government. IAI develops and produces a large variety of systems for land, air, sea and orbit: observation and communications satellites, unmanned systems (for air, land and sea), radar and intelligence systems, various missiles systems and smart weapon systems. IAI’s sales for 2016: $4B, for 2017: $5.4B. IAI exports 80% of its systems to over 50 clients worldwide. ELTA North America is a marketing and manufacturing arm for many IAI products in the United States. Rhino Stars Supplies & Construction is an engineering, project management and logistics company incorporated in Southern Sudan in 2005. A self-sustaining and socially responsible enterprise providing leading, globally recognized engineering, logistics, and project management solutions at a simplified one source point. Verint (NASDAQ: VRNT) Cyber Intelligence Solutions help government and security organizations protect people, property, and assets. Built on a deep understanding of the unique African environment, Verint intelligence solutions help fight terror, crime, cyber-attacks, poaching, illegal immigration, drug smuggling, and other security threats. Airsys Africa is a leading distributor of two-way radio, accessories and network equipment. We deliver true value-add and are committed to local service excellence and unrivalled product choice. We provide the support you need from a distributor you can trust. ALVO Mobile Hospital manufactures and delivers field hospital systems according to universal medical criteria for use especially in the regions in which infrastructure development has not been completed yet and in case of emergency. 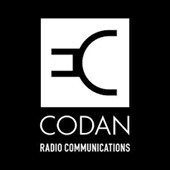 Codan Radio Communications is a leading international designer and manufacturer of premium communications solutions. We deliver our capability worldwide for the military, defence, humanitarian, peacekeeping, commercial, security and public safety markets deploying our solutions in more than 150 countries. DHL is the leading global brand in the logistics industry. With specialized solutions for growth markets, DHL connects people and businesses securely and reliably. DHL is decisively positioned as “The logistics company for the world”. 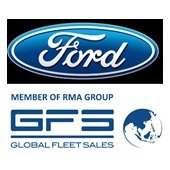 GFS, authorized distributor of Ford vehicles, offers critical vehicle sales, after sales support and fleet management solutions to aid and development organizations worldwide. Ask us how we modify vehicles to meet our customers’ unique needs. GovSat is a satellite operator from Luxembourg, created as a joint venture between Luxembourg Government and SES. GovSat-1 is a multi-mission satellite using X-band and Military Ka-band frequencies on high-power and fully steerable mission beams to support multiple operations. IOMAX USA, manufacturer of the Archangel, an affordable precision strike aircraft capable of performing day/night counterinsurgency, maritime surveillance and light attack. Archangel has flown hundreds of tactical sorties with a cost per flight hour below 1000 USD. 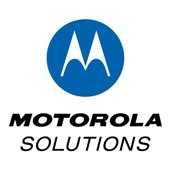 Motorola Solutions creates innovative, mission-critical communication solutions and services that help public safety and commercial customers build safer cities and thriving communities. We make people be their best in the moments that matter. Products include Big Data & Intelligence, Border Security, Command & Control, Consultancy, Control Rooms, Cyber Security Sponsors, Disaster Relief Management, Emergency Response Sector. 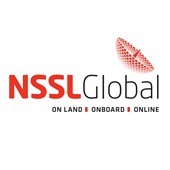 NSSLGlobal, leading supplier to defence and security agencies, will be showcasing secure communication solutions for border & perimeter control, command & control, field asset tracking, biometric data connectivity, video surveillance, remote field operations and election monitoring. Ukraine’s largest helicopter services provider, flying globally for humanitarian, governmental and commercial operations in world’s most challenging environments. With its upgraded Mi-17-1v’s, UH offers an all-in-one solution for 24/7 MEDEVAC/CASEVAC, HEMS, SAR, passenger/cargo transportation and aerial firefighting. Kazan Helicopters is one of the largest helicopter producers in the world. It is a manufacturer of the widely known Mi-8/Mi-17 helicopters family with deliveries to more than 90 countries. Kazan Helicopters also has on the production line 3600 kg “Ansat” helicopter and 18000 kg Mi-38 helicopter. Aberdair Aviation operates a range of fixed wing and helicopter aircraft across Africa in support of Resource sector, UN / NGO and Government / Security sector clients from its primary bases in Kenya, Ethiopia and Ghana. 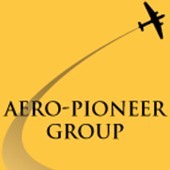 Aero-Pioneer Group is a leading provider of air logistics and services in East Africa and neighboring countries, providing services to NGOs, Governments, and private corporations. The company’s own specialized and strategically selected fleet is augmented with fixed wing and rotary aircraft from a portfolio of well-established regional and international airline partners to provide our customers fast, cost effective and reliable cargo solutions for projects of any size. Since 1968, Africair has supported public and private sector general aviation in Africa. As the authorized Representative for Bell, Beechcraft, and Cessna, Africair has a fixed-wing or rotor-wing solution for nearly every mission. AFR-IX telecom provides reliable and resilient services to Africa from major exchange points in Europe. AFR-IX delivers data and manages services to local sites in the region. Its pioneering methodology allows the set up of a complete IT infrastructure to all entities based in the continent. Astral Aviation is the largest privately-owned cargo airline in Africa which is based in Nairobi, Kenya and operates to over 50 destinations intra-Africa. With 16 years of experience in the carriage of peace-keeping, diplomatic and humanitarian products, Astral is your No 1 choice for Air Logistics. For over 40 years Barrett Communications have been the specialist designer, manufacturer and system integrator of tactical and commercial HF and VHF radio communications systems to military, security, government and peacekeeping organisations globally. BMW Group, a leading provider of premium cars and motorcycles, financial services and mobility solutions, operates 31 production and assembly facilities in 14 countries and has a global sales network in 140 countries. 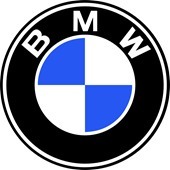 The success of the BMW Group has always been based on long-term thinking and responsible action. Bridgeway manufacture the Bridgeway Pro- Barriers, the ultimate ground mounted, rapid deployable barrier for perimeter protection and protection for vital industries. Tested to NATO STANAG 2280 and PAS 68 N3 standards. Industry-leading, award winning mobile forensics solution components. Unparalleled data extraction and analysis capabilities for both lab and field personnel, our unified workflow allows examiners, investigators and first responders to collect, protect and act decisively on mobile data with the speed and accuracy a situation demands without ever comprising one for the other. 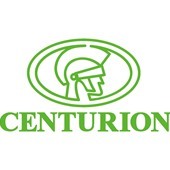 Centurion Systems manufactures a diverse and award-winning range of solutions for controlling the access of people and vehicles into and out of residential, commercial and industrial premises. Bollards, Turnstiles, Traffic Barriers and Spikes. With 41 years experience, Comprehensive Health Services is a leading provider of national and international workplace healthcare. Since 2011, we have become the preferred medical provider for the U.S. Embassy missions in Iraq and Afghanistan. 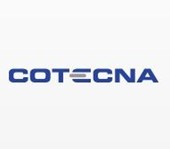 Cotecna is a private Swiss Company: a leading provider of testing, inspection and certification (TIC) services worldwide. We offer solutions to facilitate trade, make supply chains safer and more efficient for our commercial and Government clients. Crewshield provides transportable armoured citadels as a safe refuge for crews threatened in high risk environments around the world. Our range also includes ballistic containers that offer armoured protection, electrical power, air, water, sanitation and external communications to vulnerable personnel. 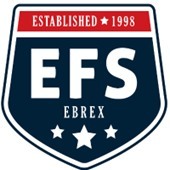 EFS EBREX is a global supply chain integrator specialized in the provision of food and beverages, catering disposables, logistics services and non-food items with an extensive network of logistics platforms across Europe, Middle East, Africa, Far East and Latin America serving both Defense Government and Commercial clients since 1998. Feka Construction, founded in 1985 as a general contracting company. Our primary fields: Defence, Power, Industrial, Building, Road & Infrastructure and Operation & Maintenance projects. FEKA currently operates in Turkey, Afghanistan, Libya, Kosovo and Iraq. 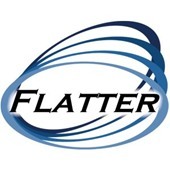 Flatter, Inc. designs, integrates, and sustains customized global solutions across services that include Program Management; Capacity Development; Leadership Development; Education & Training; Studies & Analysis; Information Technology; and Law Enforcement. German wholesaler/consolidator with excellence in medical and laboratory equipment and supplies including technical services. Long-standing LTA-contract supplier to UNPD, UNDP, WHO, UNICEF, UNFPA and many other aid organizations. Top 3 emergency equipment supplier in Germany. G4S RM design and deliver specialist training programs to military, police and peace keeping units worldwide. We are also a leading provider of Capacity Building and Remote Site Support Services in Africa. Providing practical & convenient logistical solutions to NGOs, IGOs, armies and the private sector - we supply, deliver & install a full range of high quality prefabricated buildings for comfort and peace of mind. 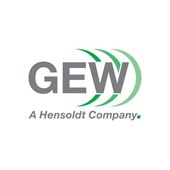 From sensor to effector, GEW’s EW systems integrate technologies designed for situational awareness, counter measures and force protection into complete solutions that offer tactical superiority in the operating environment. For 3 years in a row, Global Eagle has been recognized as the world’s best inflight connectivity, providing airlines and millions of their passengers with the most complete range of inflight video content, e-commerce and information services. Tyron, in partnership with Global Wheel, offers a range of wheel, tyre and runflat solutions including the world’s only multi-piece RUBBER Runflat which requires NO special tools to change the tyre’s, see why only rubber runflats should be used by the military. Intelsat General (IGC) is a wholly owned subsidiary of Intelsat. IGC provides customers with high-quality, cost-effective, communications solutions via Intelsat’s leading satellite backbone and terrestrial infrastructure. Our customers rely on IGC to provide secure and seamless broadband connectivity, video communications and mobility services for mission-critical operations anywhere on the globe. With a strategic presence spanning all continents and over twenty years’ experience, Mauve Group provides individuals, NGOs, SMEs and large multi-national organisations alike with cost-effective and creative global mobility solutions. From local advisory services to full management of an international assignment, Mauve can facilitate projects of every size and scope as your global partner. Meta Aerospace Capital (Meta) is a new aerospace business, backed by Oaktree Capital Management, that procures and leases special mission aircraft to governments, agencies and forces (NATO + friends) globally. Meta offers turnkey services encompassing the financing and operations of special mission aircraft. Established in 1962 Mifram Ltd. develops, plans and constructs a wide range of defensive products, anti-terror protection, threat protection, fortifications, natural disasters/project management solutions. Mifram’s products combine mechanical and civil engineering with an emphasis placed on portability, modularity and simple assembly and operation. Company Mile Dragic Production was founded in 1985, and internationally recognized in manufacturing of ballistic and other protective equipment. Products are made of high-quality materials, with emphasis on balance between safety, comfort, weight and price. NEC invested in XON, to become NEC XON, a leading sub-Saharan Africa ICT Systems integrator to accelerate regional growth for both organisations by introducing complimentary technology and solutions into a combined, sub-Saharan customer base whilst increasing regional coverage, skills and expertise. The joint operation will be focusing on technology solution for telecoms, government, enterprise and energy sectors. OPTIX specializes in the design and manufacturing of optical, opto-mechanical and opto-electronic assemblies and devices for military and law enforcement applications. Using modern technologies, OPTIX Co executes the entire production cycle – from design and implementation of prototypes to serial production of components, assemblies and devices. Oshkosh Defense is the tactical wheeled vehicle provider for the U.S. military. For 100 years, Oshkosh has mobilized security forces around the globe with heavy transport and logistics, medium logistics, and highly protected military vehicles. PAE is a leading provider of enduring support for the essential missions of the U.S. government, its allied partners and international organizations. With 63 years of experience, PAE supports the execution of complex and critical missions. Pelican Products is the global leader in the design and manufacture of high-performance case solutions and advanced portable lighting tools, including powerful tactical torches and crushproof cases for the security industry. Plasan is a global leader provider of customized survivability solutions for tactical combat vehicles, aircraft and naval platforms. With three decades of experience and over 32,000 vehicles across the globe fitted Plasan has a unique understanding of the challenges found on the modern battlefield. Schober International Freight Forwarding and Logistics supports you with more than 25 years of experience in worldwide logistics of explosives, military and project cargo by air, land or sea. With 35 years of manufacturing excellence, SEI has supported more than 50 military forces around the globe with innovative products, like its award-winning BATT, that increase combat readiness and provide strategic operational advantages. Smiths Detection is a global authority on the application, management, and manufacturing of world class detection and screening technologies for the aviation, ports & borders, military, and urban security markets. With more than 40 years of field-tested experience, we deliver the solutions needed to protect society from the threat and illegal passage of explosives, prohibited weapons, contraband, toxic chemicals and narcotics. 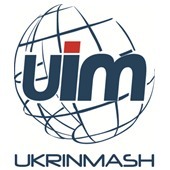 State Firm UKRINMASH is efficiently engaged in export/import of military products and services for 20+ years. We fulfill the contracts with our partners at the best possible execution level within the shortest periods. We are a specialist procurement organisation supplying funded projects globally, including the provision of security equipment to the UN and overseas Government agencies. In an uncertain world, our experienced UK team discretely works in collaboration with internationally recognised manufacturers to fully meet our overseas clients’ security requirements. Outstanding technology and maximum reliability for handling dangerous tasks from a safe distance. Turtle-Pac specialises in long-range COLLAPSIBLE FERRY TANKS for aircraft and AIR CARGO TANKS for fuel. Both in fuselage and underslung helicopters. COLLAPSIBLE DIESEL TANKS for trucks. Tanks combine extremely ease use with lightweight & strength. W.S. Darley & Co is a 4th generation family-owned business that has been supplying fire fighting and defense equipment to fire fighters and soldiers for the past 110 years. 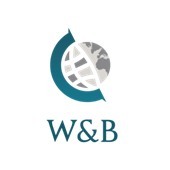 WS Insight Ltd is a private risk and security management company, providing integrated risk and technological solutions to clients across East & Central Africa, including Tier One Mining, Oil & Gas, UN, NGOs and Governments. Africa.com is the leading digital media company providing business, political, cultural, lifestyle and travel information related to the continent. The Africa.com Top10 is the smart choice for busy people who don't have time to filter through all of the headlines searching for the latest news on Africa. The Top10 is the trustworthy curated news source that makes staying up-to-date quick, easy and interesting. Stay smart about Africa, subscribe to the Top10. 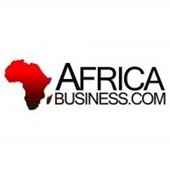 AfricaBusiness.com is an award-winning digital magazine which focuses on providing information in the sector of businesses, ICT, environment, and green energy. The platform offers services ranging from interviews with VIPs, event announcements, business advertisement, and press releases on pertinent information for CEOs, businesses, traders, and general readers to fully understand the trend of businesses in Africa while identifying opportunities that accompanies it. Emergency Live is the only multilingual on-line magazine dedicated to emergency, rescue and safety around the world. This is the right channel to get in touch with trading companies; from vehicle manufacturers to any supplier of life- saving and rescue equipment. Cyber Security Review is uniquely positioned to draw on the combined knowledge, skills and expertise and facilitate the development of coherent policies and robust capabilities to protect cyberspace, improve security and enhance confidence in the resilience of the cyber-enabled world. Essential Business Magazine is a leading business to business publication. We cater for businesses across the globe from Africa, the Middle East to Europe, Asia and Australia. With over 500,000 subscribed readers globally this makes us a prominent publication for all businesses to showcase their success and innovative stories to a global market. SourceSecurity.com is the world's leading security industry publication, that showcases an unrivalled database of security products, including: CCTV cameras, IP cameras, access control systems and integrated security systems to a monthly audience of over 180,000.